How to maintain and use your trading diary effectively? The trading diary is your daily calendar of actual trades and your thoughts surrounding it. Trading diary is all about learning from experiences so try to be absolutely honest in writing down your notes. 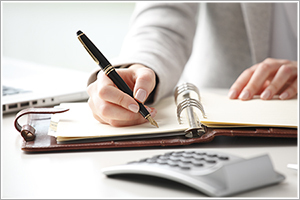 Have you ever noticed that every successful businessman maintains a diary? Why do you think they do it? It is to maintain a continuous dialogue between actions, outcomes, environment and strategies. Like any business, trading is also about strategy. You are not sitting on the trading terminal to predict the market. That is not your job at all! Your job is to accept that the market will be what it is and design your trading strategy around it. But strategy is much easier said than done. It requires data, review and isolation of the relevant issues. That is where a Trading Diary comes in handy. What should you write in your trading diary? Why did I initiate the trade and how? This is something you need to jot down about each trade at the end of the day. Did you get carried away by the broad direction of the market wind? You also need to jot down what were the technical and fundamental checks that you did before getting into that transaction. Each trade has to have a justification, otherwise it is a pure gamble. How was the trade executed and handled? There are various aspects to this question. Did you focus on execution at the best price or did you place a market order in a rising market? Where did you put the stop loss and where did you set your profit target? Did you actually panic and close your position before the stop loss was triggered? Once you document all these aspects, you get insights into how your trade can be handled in future. Did the trade work out as planned? This is the most important aspect of your trading diary. Remember, when you are a trader the buck stops with you. You cannot blame the volatility in the market for trades that go against you. The bigger question is what precautionary measures you took to prevent your trade from misfiring. Remember these four pillars of your trading diary. First and foremost, it keeps a record of your actual actions. While trading, you maintain a log of your trades but when you prepare your diary you must input your thinking behind that trade too. That will give you a better base to reconsider strategy. Secondly, you need to focus on outcomes. What actually happened to the trade? Did you book a small profit, did you book a large profit, did the stop loss get triggered or did you just panic and surrender your position. Thirdly, what was the environment on that trading day? Was it a normal day, was it a bullish day or bearish day or whether it was an extremely volatile day. The environment matters a lot too. Lastly, how did you calibrate your strategy in response to outcomes and environment? That really determines if you are going up the learning curve as a trader or not. It forces you to look at performance on a daily and even, at times, on an hourly basis. As a trader you live by the hour and if you are profitable in 4 out of the 6 hours during the day then you are likely to be profitable overall. That is granular thinking. Trading diary throws up interesting trends. You may be losing money on your Nifty trades regularly but you may not able to fathom the reason. The trading diary will help you pinpoint the precise reason. It could either have to do with your stop loss levels or the way you enter and exit the Nifty. Either ways, the insight is important. Trading diary acts as a check list for the next trading day. When you analyze your actions, outcomes, environment and strategies for the day, you actually know where to focus on the next day. That clarity makes your trading more focused and you can spend the 1 hour prior to trade opening purely focusing on this handful of areas. Are you overtrading with your capital? That is a difficult question to answer but when you sit down with your trading diary, you have data in front of you. Take a call for the next day accordingly. Lastly, trading diary is part of your learning curve and these learnings cumulate into your experience. They also create good trading habits, which will stand you in good stead in the long run.